I prepare brown-bag lunches for any outing, but this day trip is a spectacular opportunity to pack up some food and spend the day exploring. To eat in any of the on-site cafés would do a disservice to the multitude of nooks and crannies waiting to be discovered on the grounds. 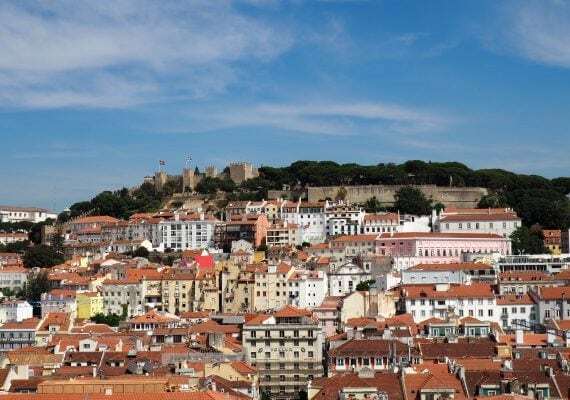 This itinerary is one of the best Lisbon day trips for families. 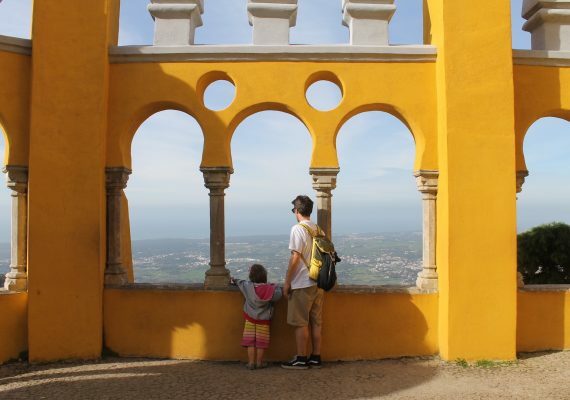 Get ready for a kid-friendly day of aimless meandering and slack-jawed wonder around every corner in Sintra, Portugal. Located just 42 km (25 miles) from central Lisbon, its gorgeous palaces offer fun and amazement for all. Once you arrive in Sintra, begin your visit at the Quinta da Regaleira. The mastery of this architectural gem isn't just confined to its interior, the grounds of the building offer loads of adventure and beauty too. Next, make your way to the National Palace of Pena. Perched atop a mountain, this palace oozes with the unique personality of Portugal. The two residences are the most beautiful, confusing, haunting and imaginative examples of Romantic and Gothic architecture on acid I've ever seen. This day in Sintra is like a fairy tale, the images will remain with you and your children for a lifetime. This property is the physical manifestation of childlike wonder and unlimited riches during a time of Gothic and Romantic architectural expression. We spent hours exploring the grounds on our honeymoon and returned with our nugget when she was four years old for a similarly mind-blowing experience. With more than one million stray cats, underground labyrinths, grottoes, footpaths, waterfalls, what could possibly be the world's first private aquarium, stepping stones through algae ponds and the photogenic Initiation Well (used for Tarot rituals, eek! ), there is something magical around every corner. Go with lots of food and spend hours getting lost on the grounds. This place will capture the imagination of the little ones and make the adults feel like they ingested something special at lunch. The house is fun, but the real magic is outside. 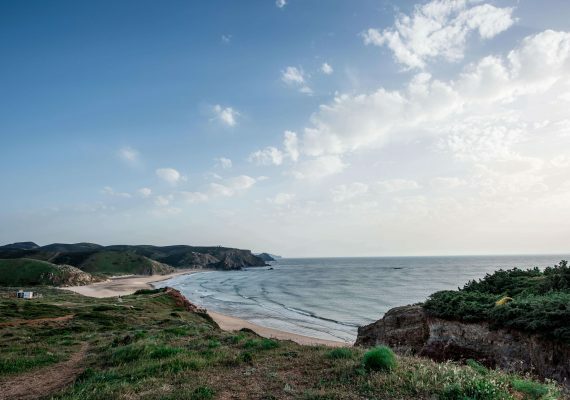 DIRECTIONS You can travel by car or train, Sintra is about an hour from central Lisbon. TIP The algae pond that holds the stepping stones is deep. Don't fall in. Or, bring extra clothes for the kids. The National Palace of Pena is a fantastic example of Portugal's vibrant personality. It's a completely otherworldly expression of Romantic architecture. 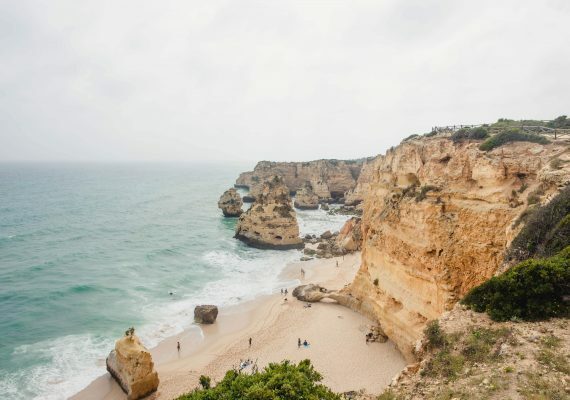 It is also a UNESCO World Heritage Site, but mostly, it seems like you are living in a fairy-tale world perched on the top of a mountain in Portugal. TIP If driving a car, don't park in the first spot you see on the hill. The mountain you have to walk up to get to the palace entrance is a lot taller than it seems.